Information reaching us today, is that the 2017/2018 screening exercise into Part-time undergraduate programmes of the University of Benin (UNIBEN), has been released online by the tertiary institution management board. Using this platform, we would love to inform all prospective students, who participate in this screening exercise and would love to check their screening result, to login to the campus official student portal page (kofa) to check their admission status. It’s also important to note here, that the University of Benin, Uniben first batch admission list and the 2nd batch admission list is out. Step 2; Then proceed and enter your username and password in the spaces provided. Or simply enter your Application Number. Step 3; Then proceed and click on “Login” to check your result. Please note that this results can only be accessed with correctly inputted kofa details which has been previously sent to your email during registration for the screening exercise. Do share your results below with other students while we await the part time admission list to be released. 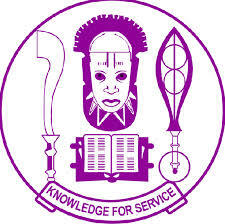 Authorities of the University of Benin (UNIBEN) has officially release its 2017/2018 Part-time screening result. Candidates who participated in the part-time screening programme of the University of Benin can now check their performance by following the procedure which is shared above. Congratulation to all part time students of the University of Benin.